You can’t be great in chemistry without knowing your way around the periodic table. That’s what it’s all about. Those who are pursuing a career in this field probably know the table inside and out. 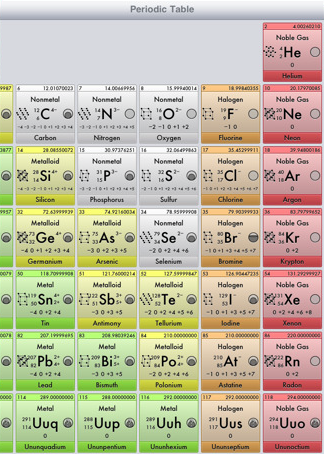 But it never hurts to have a tool that can give you an overview of what each element in the periodic is all about. Mild EleMints 2 is a free, attractive chemistry application for iPad that gives you a quick way to dig up more information on your favorite elements. The app is pretty straight forward to use. When you open the app for the first time, you are going to see the general periodic table (with minimal details). 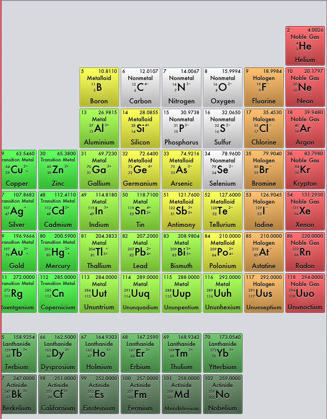 If you zoom in on elements, you are going to see electron diagram and other useful information next to each element. You can also quickly look up each element on the web by clicking on the appropriate links (using Wikipedia). Mild EleMints 2 is a great tool for any student of chemistry (or any chemistry lover). It’s simple to use, very attractive in design, and quite detailed for a free app. You can always pick up the paid app, developed by the same developers, if you need a more sophisticated tool.